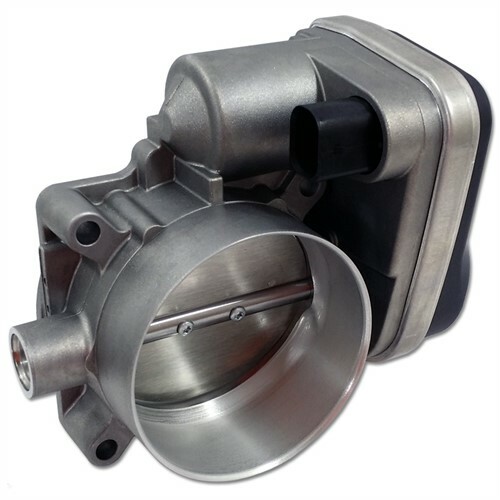 Modern Muscle's new 5-axis CNC Ported High Velocity HEMI Throttle Body was developed to help increase the flow of air through the stock intake manifolds of the new HEMI engines. AND IT WORKS! The stock 80mm throttle body has shown on many applications to be a restriction on these engines but with Modern Muscles new venturi-like design, airflow through the stock throttle body has been increased without sacrificing air speed (like straight bore 87mm and 90mm throttle bodies) allowing even more power while being a direct bolt-on part. *results vary based on driving habits.